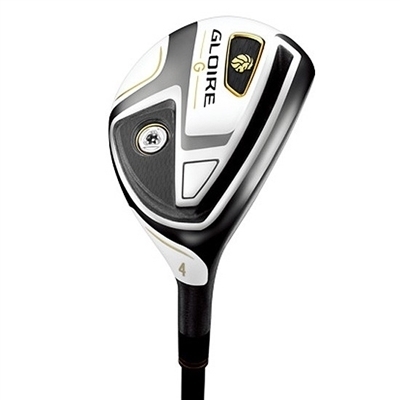 Part of the new G series for Taylormades Gloire line up, the new "G" Utility Wood is equipped with a deep speed pocket for better miss-hit performance especially low on the face where most people miss using utility clubs. It's designed to create straight and high launching shots from the fairway. It's shallow face futher helps with ease of use and getting the ball airborne while the sole shape is curved to make smooth entry and exit of the turf. Made of Stainless Steel 2 types 450SS and C300.